If you’re Greek and planning to get divorced in Queens, Staten Island, and Brooklyn, there are some important considerations and questions you may be asking. First, you’ll need to decide whether your Greek divorce is an international matter. If you are a citizen of Greece, if one spouse plans to live in Greece, currently lives in Greece, or plans to take the children to Greece, you may have to handle your divorce as an international family law matter. Additionally, Greek couples may choose to file for Greek divorce if they were married in Greece or are citizens of Greece, and do not qualify for divorce under New York residency laws. New York residency laws are rather strict for granting divorce in New York state. Individuals wishing to file for divorce in New York must meet all residency requirements. If you were married in New York and either spouse has been a resident in New York for at least one year, you will be considered a resident and qualify for filing a divorce under New York state jurisdiction. If both parties resided in the state as a married couple for at least one year prior to filing for divorce, New York state residency requirements are considered met. If the marriage didn’t take place in New York and if the couple didn’t reside in the state of New York together, the individual wishing to file for divorce must have lived in New York for a period of at least 2 continuous years. Failure to meet New York residency requirements will result in the dismissal of your case from court. If you’re considering filing for Greek divorce in Queens, Staten Island, or Brooklyn, it is important that you understand your rights and determine whether you qualify for divorce in New York state. A Greek divorce firm can assist you in filing your case in Queens, Brooklyn, or Staten Island, New York. Elliot Green Law Offices understand that divorce is emotionally challenging for all parties involved. We work closely with families to help them move forward, while protecting their rights during this challenging time. Your divorce may be contested or uncontested. 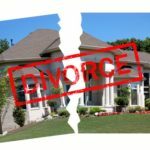 In a contested divorce, your spouse may dispute some of the facts of the case. You may have to go to court to resolve these issues. In an uncontested divorce, both parties agree to the grounds of the divorce and to the division of property, assets, debt, and child support. Many uncontested divorces are the product of the work of a careful and thorough Greek family lawyer mediating between both parties to ensure that their rights are protected and that any disputes are resolved before the case goes to court. 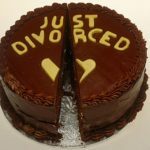 Unfortunately, not all divorce matters can be resolved outside of court, and sometimes couples will have to take their dispute to civil court. Whether your divorce is contested or uncontested, it is wise to seek the counsel of a Greek divorce attorney who can help you to understand your rights, protect your rights during the decision-making process, and ensure that your divorce is resolved in a smooth manner. In cases where the divorce is an international matter, Greek divorce law also allows for uncontested and contested divorces. Greek and international divorce matters are often similar in nature to New York divorce, with the added international law component. In Greek divorce, like New York divorce, questions of child custody, division of assets, division of debts, and division of property must all be considered. A Greek family lawyer can take a look at your case to determine whether it should be handled internationally or in New York. Divorce raises many questions for individuals and children. Division of assets, child custody, and legal matters are all likely foremost on your mind. A Greek family lawyer can answer your questions and help you navigate the sometimes complex laws involved in Greek divorce. The Elliot Green Law Office offers compassionate counsel to families in a range of circumstances who may be facing a wide variety of challenges. New York law offers a range of protections to individuals getting divorced in Queens, Brooklyn, and Staten Island. You have the right to equitably divide marital property and debts. Sometimes individuals get divorced without realizing that they have the right to receive child support, retain custody rights, and have other important legal protections guaranteeing them access to marital property and assets. Without the counsel of a lawyer looking out for their best interests, they may allow their former spouse to bully them into making decisions that aren’t in their best interests. Before you sign away your rights, seek the counsel of a Greek family lawyer. A Greek divorce lawyer can ensure that you and your loved ones are protected to the fullest extent of the law. Greek divorce sometimes involves international matters and sensitive cultural questions. The Elliot Green Law Offices works with families closely to answer all their questions and to ensure that their rights are protected. We will take the time to understand your unique circumstances and help you develop the best course of action to meet your needs. If you plan to file for uncontested divorce in Queens, Staten Island, and Brooklyn, we can make sure that all paperwork is properly filed so that it will be accepted by the court. If you are facing legal battles as a result of divorce, we are here for you, too. If you’re considering divorce, contact our firm today to learn more. Our firm will help you navigate the law every step of the way.